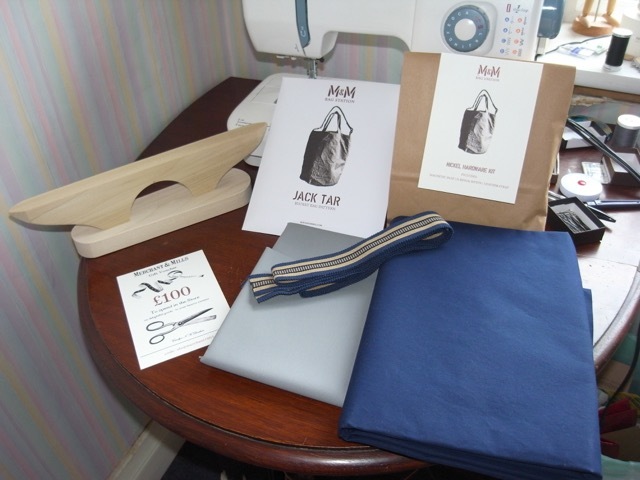 For christmas my lovely hubby gave me a voucher for Merchant & Mills, and I’d been looking at the Jack Tar bag pattern for quite a while, but hadn’t gotten round to getting it. then they started doing a kit, which includes everything you need to make the bag. So armed with my voucher I trotted off to Merchant & Mills and bought it. Its taken me a couple of months to get round to making this, but I’ve finally done it. I have to say it was a rather pleasant experience. I did things I’ve not done before, like snap closure, and used D rings. Also a facing on a bag, which I’ve not done before. And turning a bag right side out through a hole in the lining. That was an experience I can tell you. This was also quite a painful make too! The outer fabric I believe is a dry oilskin and the lining is a sturdy canvas, both fabrics were quite tough to get my pins through at times, and I managed to stab myself on many occasions. 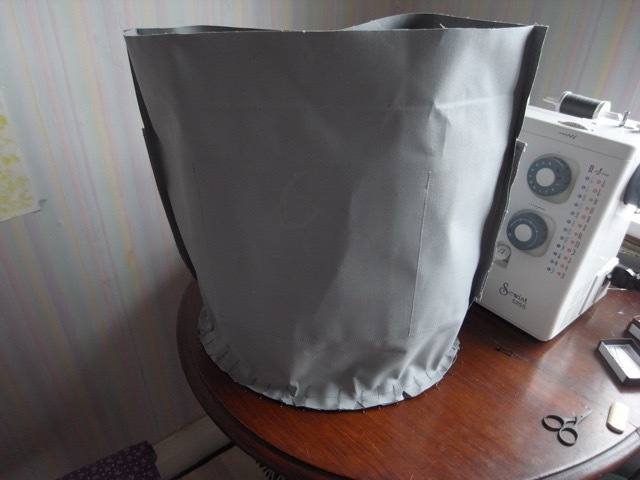 I also want to say, that whilst the pattern is supposed to be beginner level, Merchant & Mills can be quite frugal with their instructions, and If I hadn’t already known how to attach a base to the main body of a bag I would have been a bit stumped at that point. 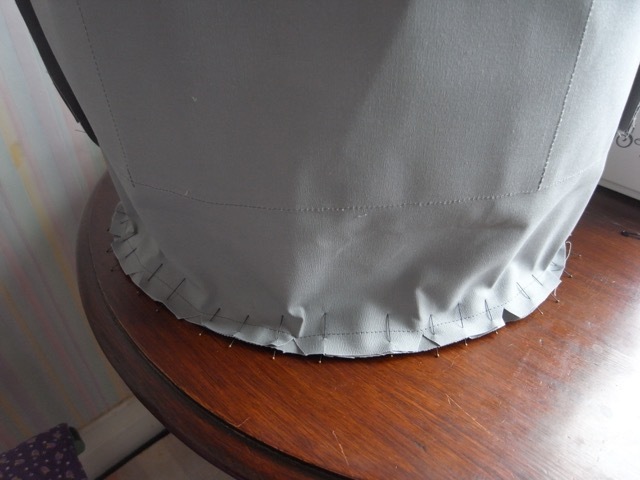 It was quite tricky getting it through the sewing machine, as the fabric was quite stiff. And this was one of the areas where I would get stabbed by my pins! 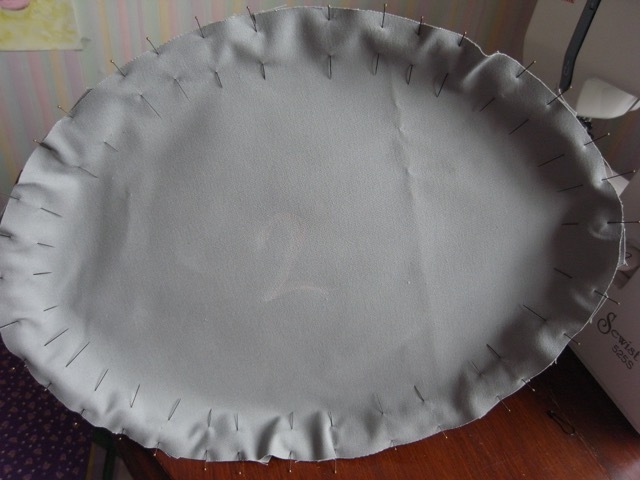 Picture of the lining, before I’d sewn the base. All finished. Inside view of the pockets. Another inside view, with the shoulder strap. The bag kit comes with a leather strap, but I decided not to use that, and opted for a webbing strap instead, same as I used for the handles. 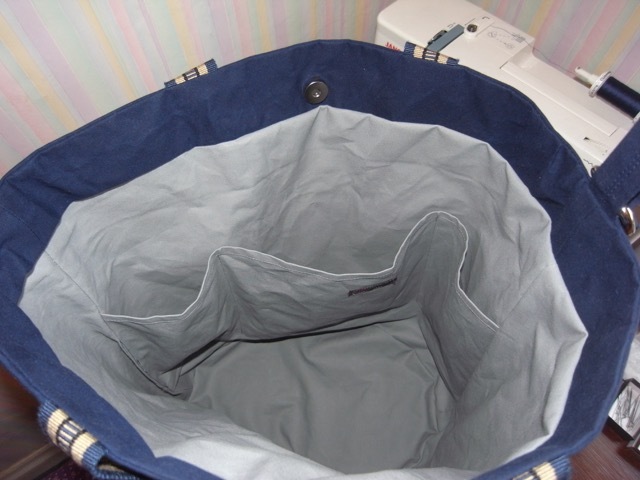 There is an option to make the handles yourself out of the same fabric as the bag. I like the contrast the webbing straps give though. 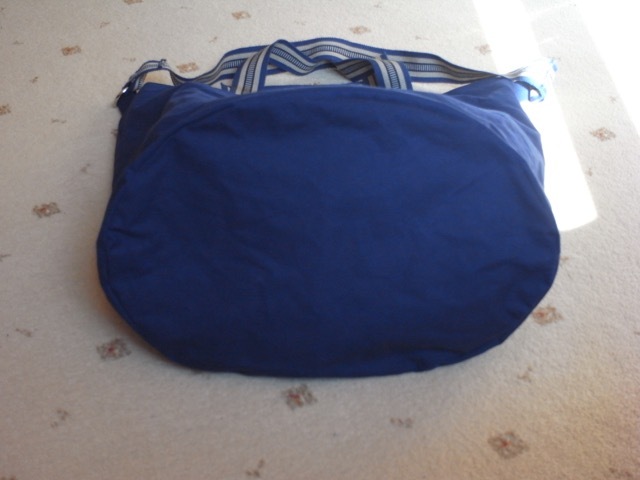 This is a pretty big bag, I think it will be really useful as weekend bag or carry on bag for flights, as well as being a great everyday bag for town and shopping. The 3 inside pockets are the perfect size for your purse, keys, sunglasses and phone. Plus any other small items you don’t want to lose inside the main compartment. the pockets are also ideally placed for good access whilst carrying the bag crossbody, but I reckon would be tricky for someone to try and pinch your purse. Carrying options, are as follows. My favourite is crossbody, so comfortable. So there we have it. What do you think? I really like the style of this bag and it’s so practical too. The round base looks tricky! 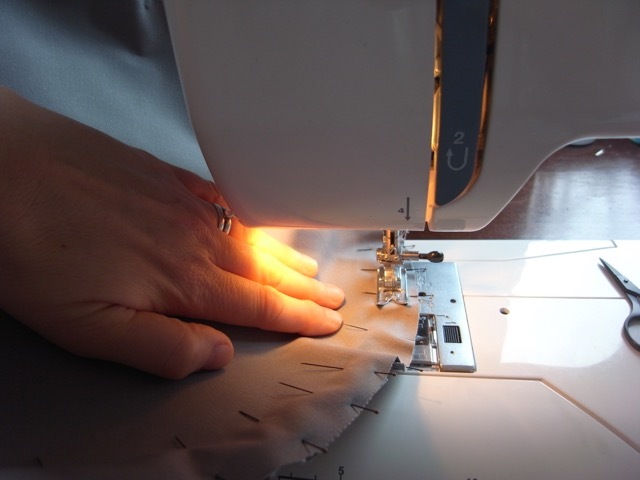 I like using sewing clips when I can – definitely reduces my injury rate! 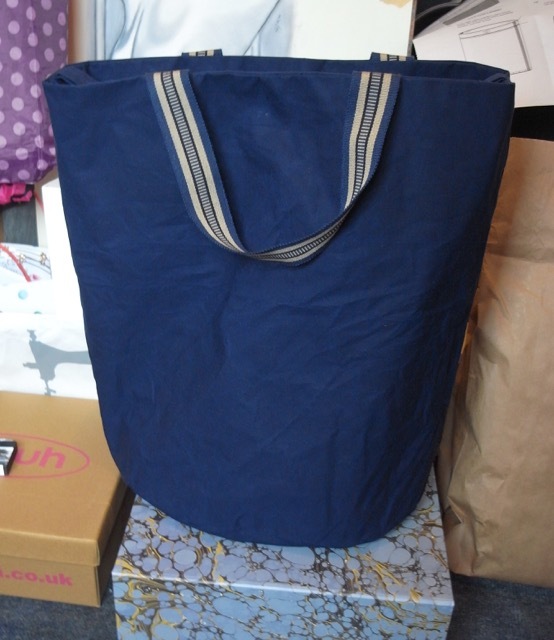 The whole bag had its tricky moments, mainly because of the thickness of the fabrics. But yes the round base was a little troublesome. Ooh sewing clips, I’ve not heard of these. Sound intriguing. I like the way you modelled the carrying options – very helpful! I may purchase a kit for myself soon. The hardware sounds like fun. Thank you, I would whole heartedly recommend the kit. It is a fun and satisfying make. Hello there, thank you so much for your comment :0) Have you made bags before? 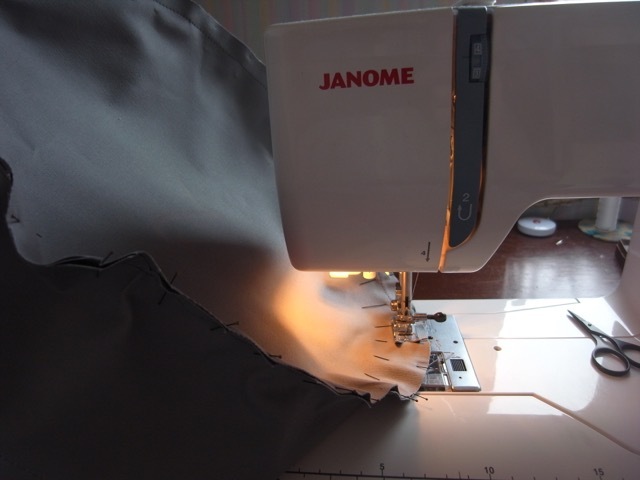 If so you’ll know how to attach a base to the sides of a bag, if not then you might struggle a bit the Merchant and Mills instructions as they can be a little confusing! Or that might just be me! Thank you, Sarah! 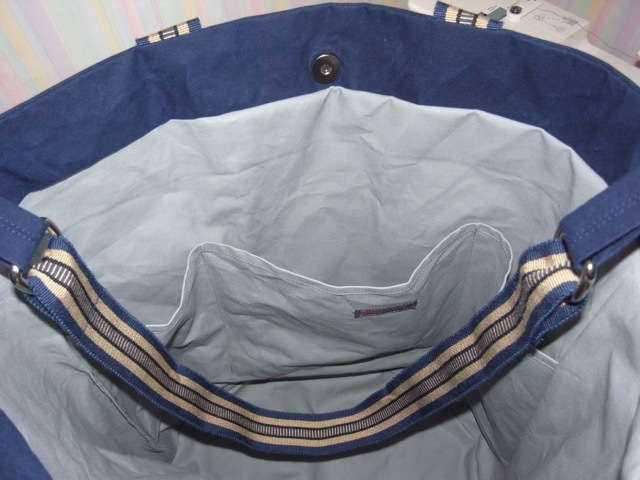 I’ve made a lined tote bag (with quilting fabric, not canvas), some zippered purses, baby bibs, some knitting accessories to hold double pointed needles (for that I used canvas on the outside, Kona cotton for the lining), and various other bits and bobs. I’m so excited for you! Just take your time, take each step one by one. I often find when using a new pattern (and you might notice if you’ve read my blog, that I tend to re-mkae the same pattern over and over. Get a little obsessed!! So I still find it daunting to make a new pattern) that its beneficial to me, not to read ahead and look at the next step before I’ve done the one I’m on, if that makes sense. That way I don’t find it as scary! One piece of advice, don’t pin, use weights to weigh the pattern down. I just use tins from my cupboards. I find pinning can distort the fabric and pattern. But if you do that try and make sure you mark the fabric with which piece of the pattern they are. Although it shouldn’t be too much of a problem with that pattern. Also I don’t think you need to trace the pattern, as its one size only. I think tracing is really only an issue if there are multiple sizing options. Thanks, Sarah! I was hoping you’d say you didn’t try and press it – I had visions of ironing disasters…! Trying to summon the courage to dive in now! Hi again! I’m stumped at the first hurdle! I’m trying to work out how to cut the fabric. You know the kit gives you two pieces of fabric, the lining and the outer? And then the ‘cutting layout’ gives you six pictures showing rectangles of various dimensions…. I don’t understand that part.